One of the most special moments for me being a mother was when Walter took his first steps. I remember it like it was yesterday. It was late afternoon and he walked for the first time in our living room. So proud - and the excitement in his little face when he was walking is something I will always remember. Now it is time to prepare Holger for his first steps and I decided on the same kind of indoor shoes for him as Walter took his first steps in from Petit Nord. So cute! 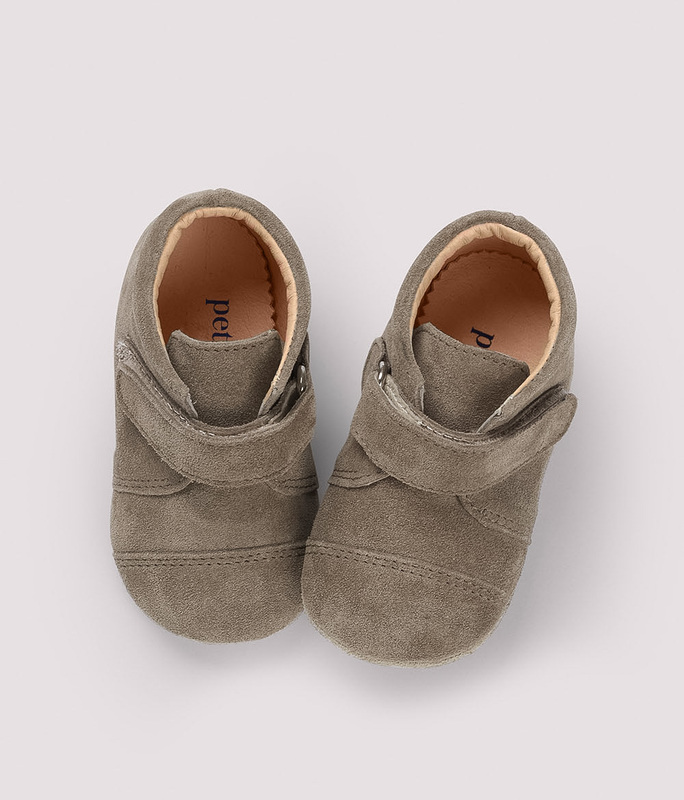 The first pair of indoor shoes for Holger is in sand suede and Walter just got his fourth(!) 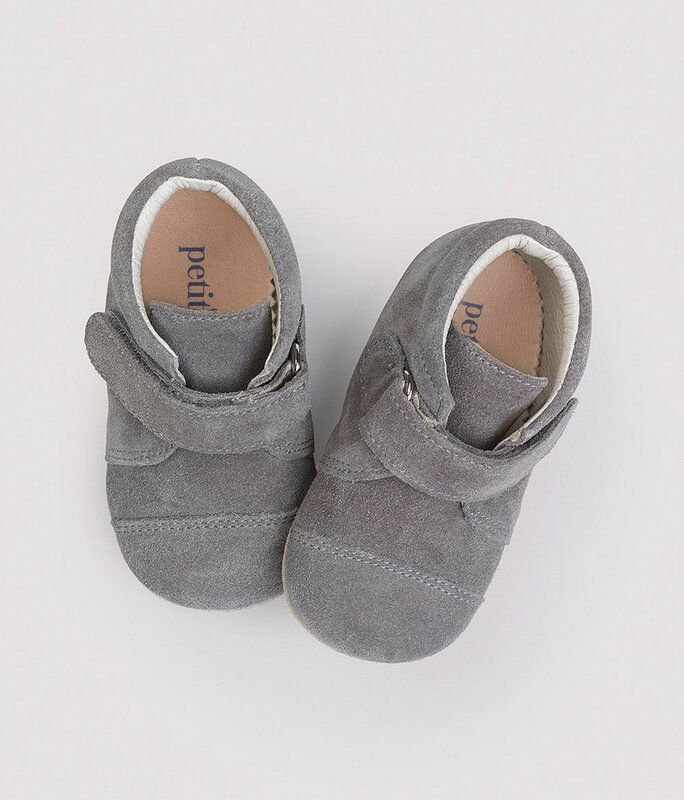 pair of indoor shoes from Petit Nord Copenhagen and in grey suede this season. I just love the design and how the velcro strap ensures safe and swift closing. The shoe is made in calf skin with an ecological and chrome-free insole lining. It has been comfortable and suitable for Walter since his first steps and still is today. In addition to the indoor shoes I love the classic boots from Petit Nord. The classic boots with lace has a firm support and the perfect fit for normal to wider sized feet. These shoes can be found in a 100% ecological, 100% vegetable tanned, 100% biodegradable and 100% chrome-free leather. I’ve been browsing online and here is our favourite shoes and colors grey and olive for Walter. And below is our favorite shoes and colors sand and navy for Holger this season. What I also like about Petit Nord Copenhagen is their design philosophy with sustainable products, ecological materials and methods minimizing the hundreds of toxic chemicals. Added their mission with “more babies please”, which means Petit Nord donates a percentage of their sales towards fertility treatments. This donation will help a couple with difficulty conceiving come one step closer to their dream and hopefully make it come true. Such a beautiful project and mindset that I will happily support - and I couldn’t agree more with Petit Nord, more babies please!